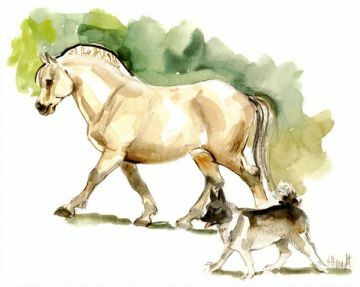 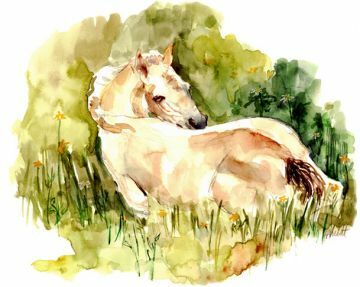 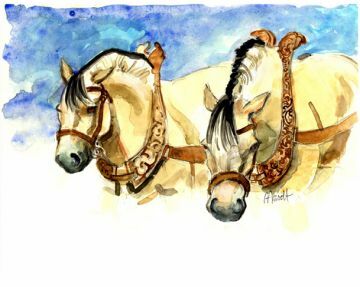 This wonderful watercolor allows us to enjoy the lively gait of both the Elkhound and Fjord horse enjoying an autumn afternoon. 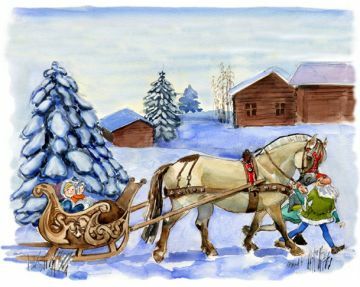 The young Norwegian girl driving the cart is with her two best friends. 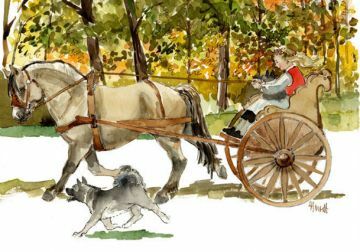 Be the first to review “Autumn Fjord with Cart and Elkhound” Click here to cancel reply.